On this page, you’ll find how this specific lesson plan, Place Value Multiplication Structures, is aligned to the Common Core Mathematics Standards organized by grade level, domain, and standard ID with in-depth explanations and examples. CCSS.MATH.CONTENT.4.NBT.A.1: Using blocks to build place value structures, students develop an understanding that ten blocks in the ones place value equal that of one block in the tens place value, and so on. Students can look at these place value structures and interpret their numerical value. Students should be able to see a number, such as 546, and build an equivalent place value structure. CCSS.MATH.CONTENT.5.NBT.A.1: When dealing with partial products, students will add them together using blocks. 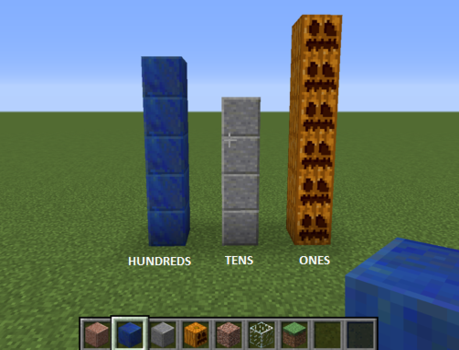 When the blocks in one place value are more than ten, they will carry that over to the place value to the left, showcasing an understanding of the relationships between place values. Using glass blocks, students showcase their understanding that a block in one place represents ten blocks in the place to its right. CCSS.MATH.CONTENT.5.NBT.B.5: Students are performing the standard algorithm for multiplication using partial products. 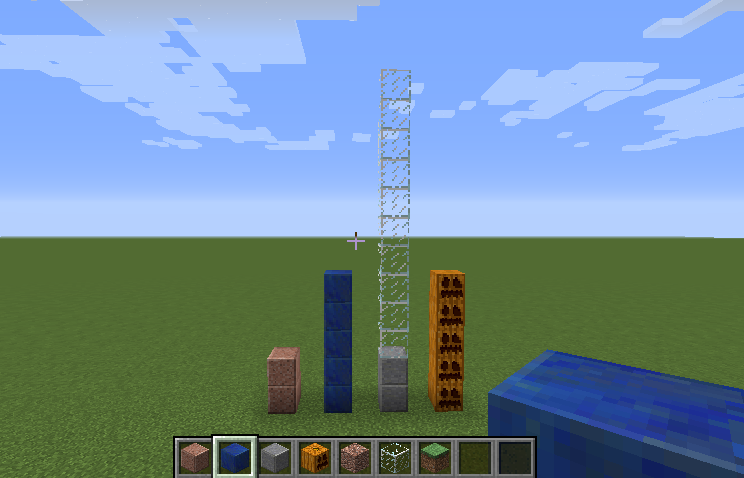 Constructing the problems and building the place value structures in Minecraft allows them to check their calculations, and provides a visual representation of what is often taught as more of an abstract concept.